Slide rules have come in different formats over the years. 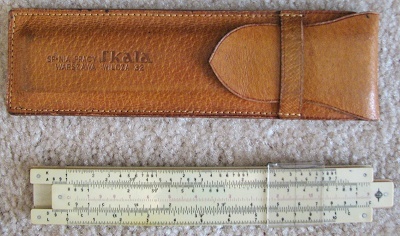 The most familiar is probably the 3-part model with a fixed outer frame and a sliding inner rod, and a sliding clear window with a reticle line etched into it for aligning numbers (the cursor). While far from being any type of "collection," I do have a couple nicely preserved models. The ones from Keufel & Esser (K&E) are at the top of the table below. 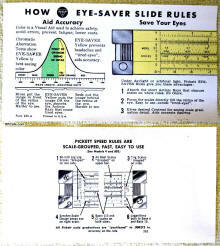 The Beginner's slide rule model is very basic with graduations on one side and some conversions on the other. 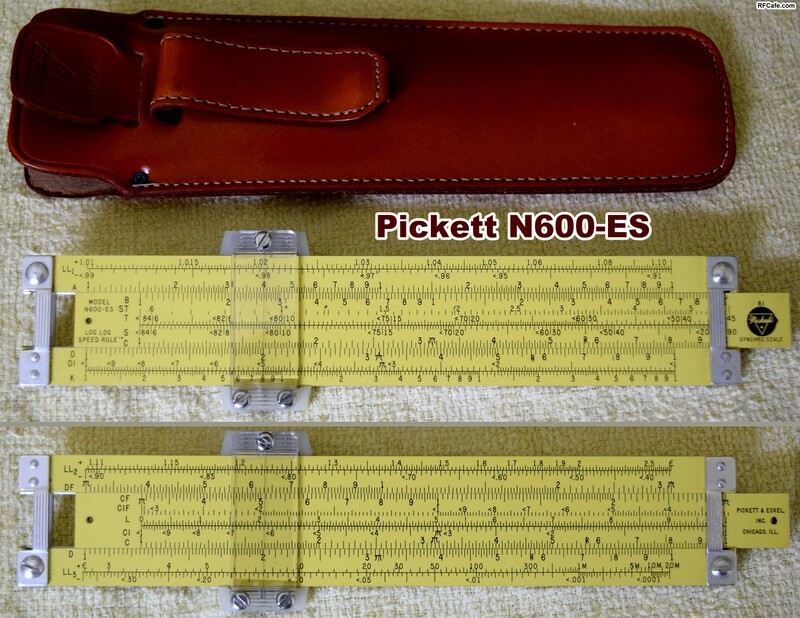 The best of all is the Pickett N600-ES Log-Log that is in new condition and actually still has the box, leather case, instructions and certificate. 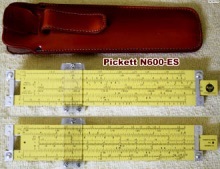 The Pickett N600-ES is the slide rule model that went to the moon* with the Apollo astronauts (not the one I own, of course). 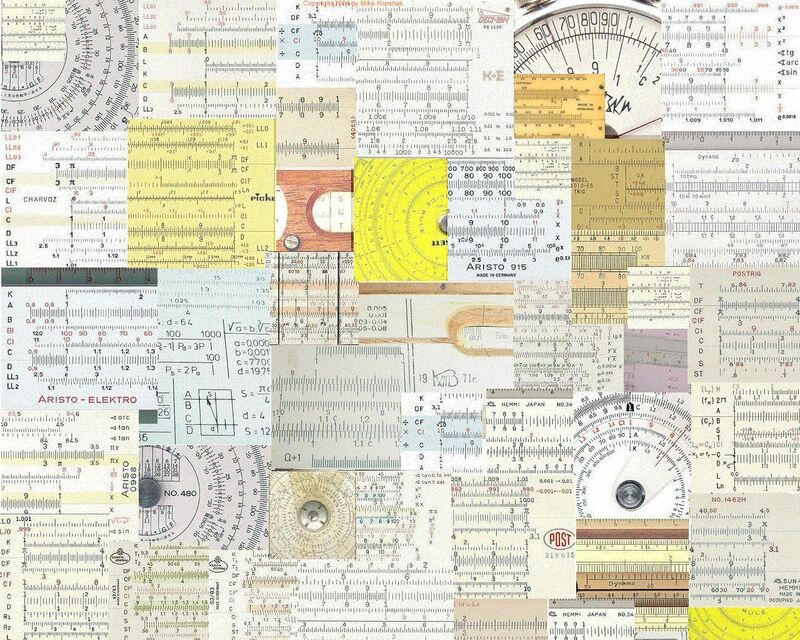 Finally, a few of the cardboard calculators I have are at the bottom. 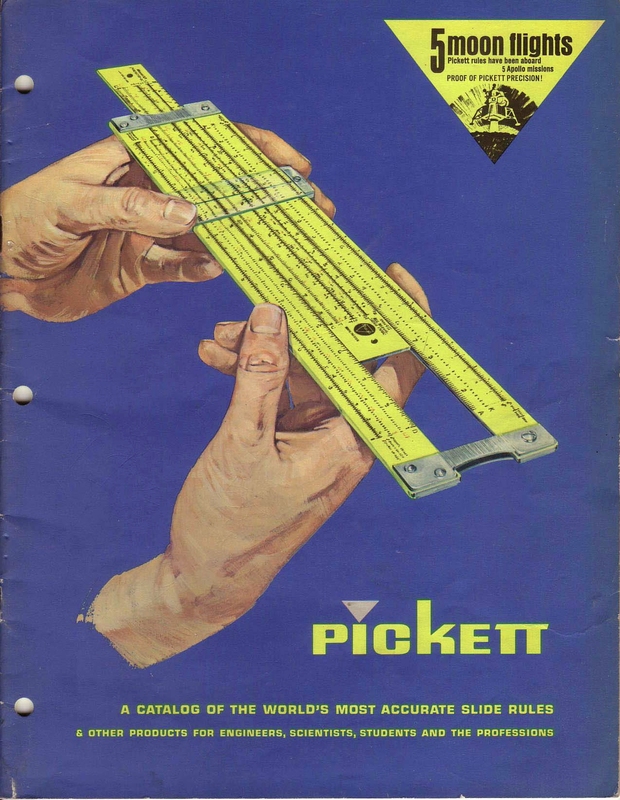 Probably only the VSWR Calculator from M/A-COM can be considered collectible. 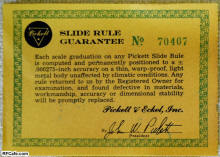 My good friend Patrick Fitzgerald bestowed it upon me when I went to work for him at General Electric right out of college. 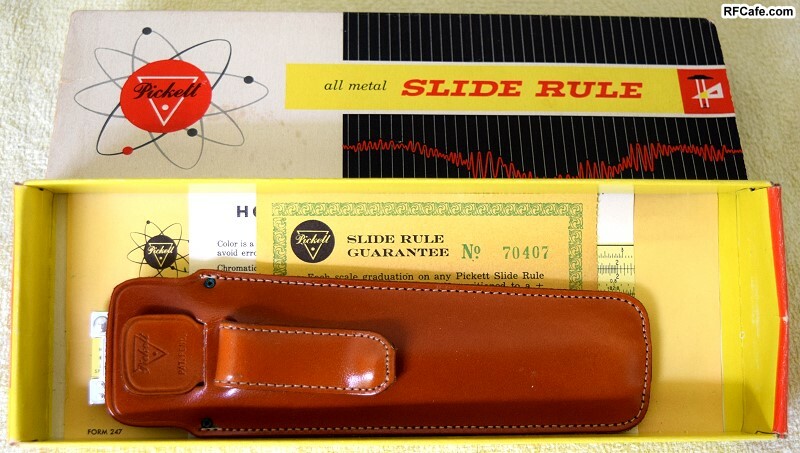 I can recall some of the older engineers still using slide rules there when I arrived in the 1980s. 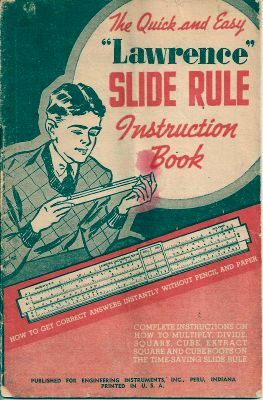 In fact, the first algebra textbook I had in a community college right out of high school in 1976 had a section in it on how to use a slide rule. 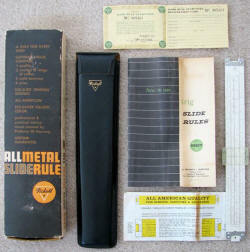 The Sterling 684 plastic slide rule that I bought at the bookstore is show below. Shortly thereafter, the HP-35 hit the market and the world changed forever (now that was truly a disruptive technology). 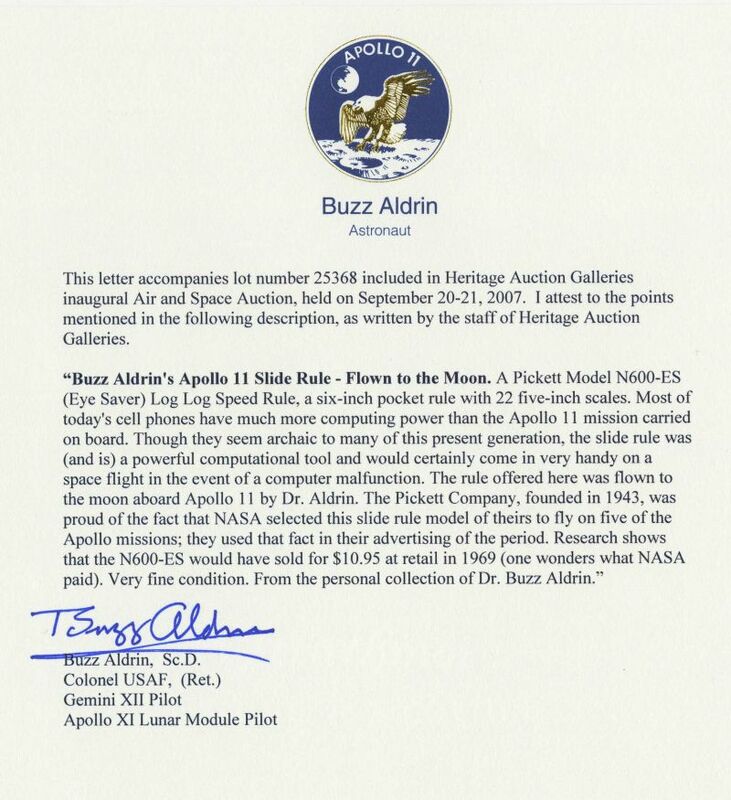 April 2016 Update: *According to the Smithsonian National Air & Space Museum, the N600-ES did not actually make it to the moon because it was aboard Apollo 13, which experienced a system failure that required the crew to do a U-turn and execute manual maneuvers to get home safely. 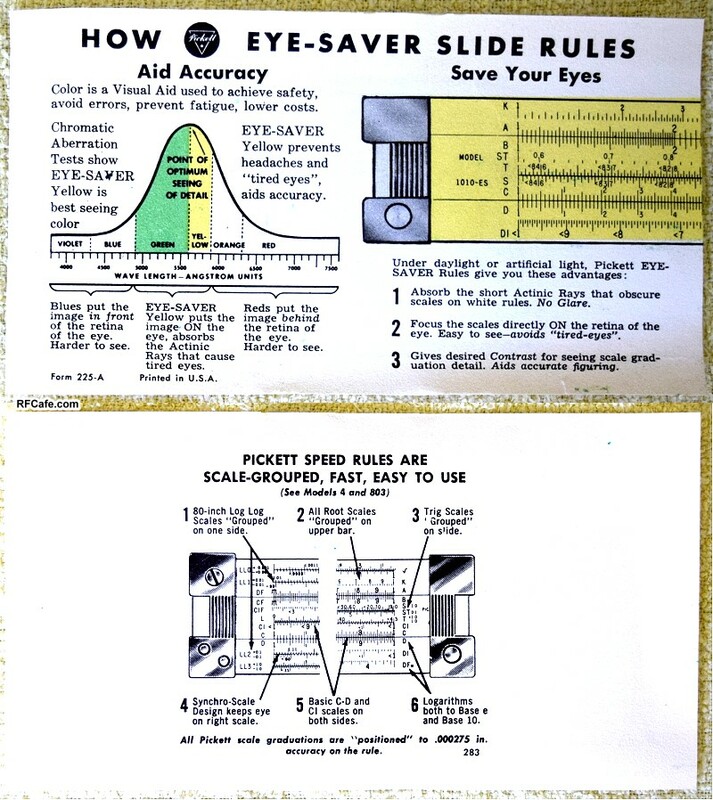 June 2015 Update: Thanks to generous RF Cafe visitors who either sent me hard copies or high-res photos of their Cardboard Slide Rule Calculators (which I have dubbed The Original Mobile Apps™), the number has grown so large that they required their own page. ◊ Here is my collection of vintage Cardboard Slide Rule Calculators. 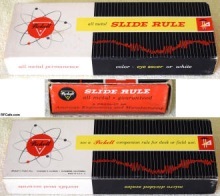 - Slide Rule Library Archive of books, manuals, instructions and ephemera. 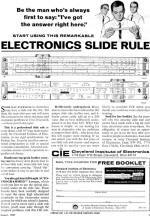 - Instructions on how to use a slide rule. (this is the model that was aboard the Apollo 13 mission and according to Buzz Aldrin, the one he took to the moon aboard Apollo 11). 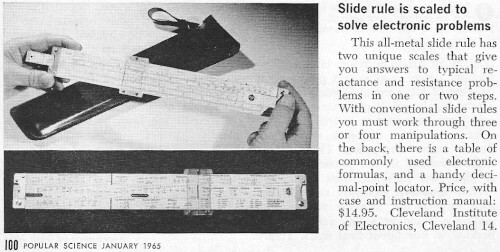 According to information from Pickett, my N600-ES was manufactured sometime between March and June 1959. 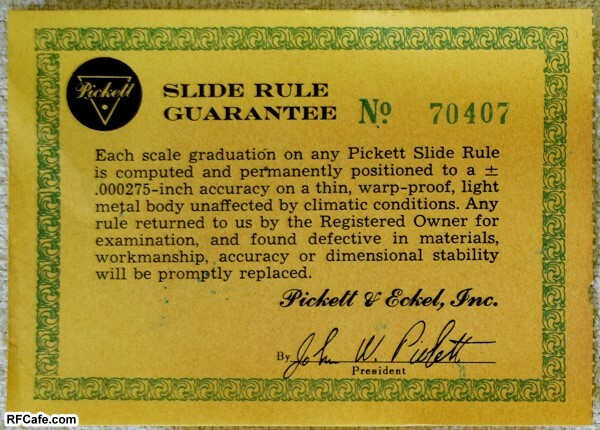 See "The Great Pickett Slide Rule Apollo Conundrum." Thanks to Alan Kealey for the donation! 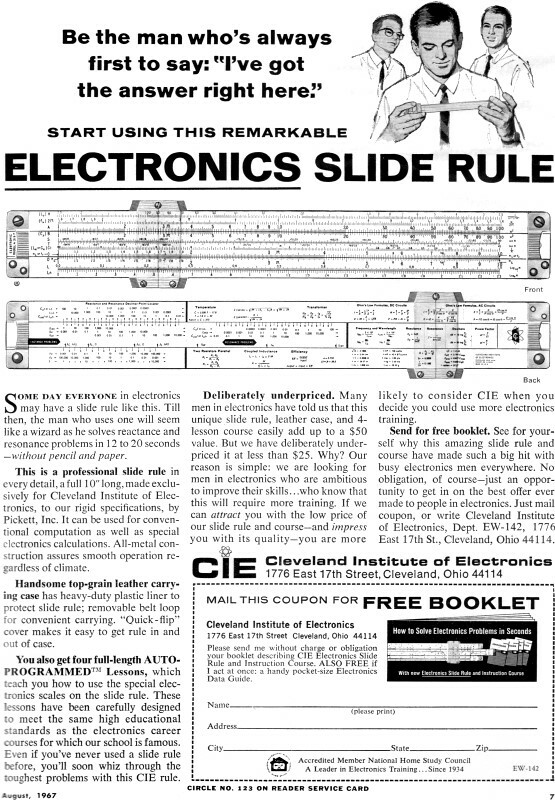 Thanks to Mr. Joe Hernandez (KN2A), the complete set of four Cleveland Institute 515-T manuals is now available here.